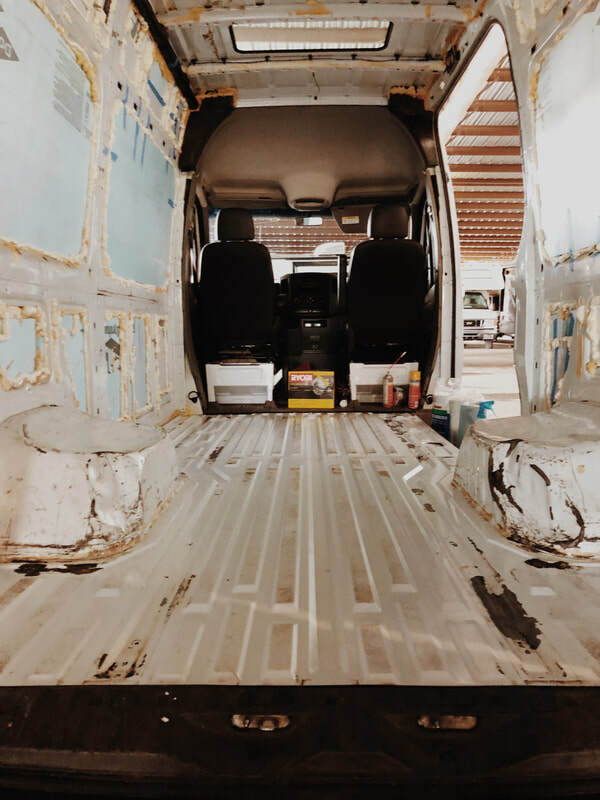 I was lucky enough in my van conversion build to have flooring and wall templates that came with the original van. 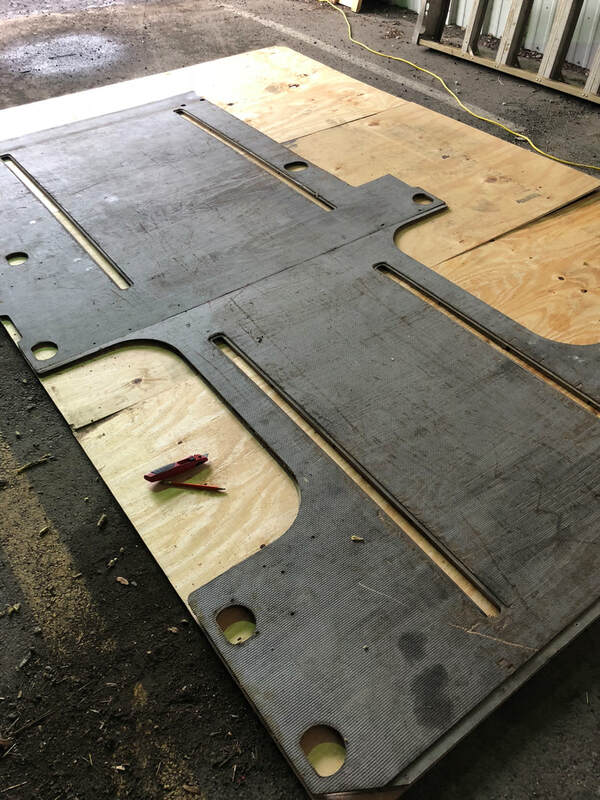 The floor templates were tough to get out, rusted bolts and all. But with a little bit of elbow grease and a handful of hours, the templates came up. I used them in order to cut my underlayment, subfloor, and to pattern out my flooring. It was so much easier with these templates, especially around the wheel wells. Click on the photos to check prices for each item. I fell in love with my flooring almost immediately, not just because of the pricepoint. This TrafficMASTER Lakeshore Pecan flooring comes in at $0.79 per square foot which was mind blowing to me. I absolutely loved how easy this flooring was to install and so far it is extremely scratch resistent. I dropped many a'tools on this floor and there has been zero scratches to it. Before I put in the floors, I went ahead and added an underlayment in order to help prevent moisture as well as add some sound control. It was extremely easy install and just required a bit of cutting around the corners and edges. I found that I could use a little bit of 3M spray adhesive to keep the underlayment down and in place. I used 1/2 inch non-treated plywood as a subfloor and screwed it down securely. In some spots where the van had sunken ribs in the metal I used wood shims to keep everything from shifting. I didn't want treated wood as a subfloor just because I didn't want to be inhaling all of those chemicals. If you've been reading through these products I've used, then you know about me and 3M adhesives. Love 'em. Can't get enough of 'em. 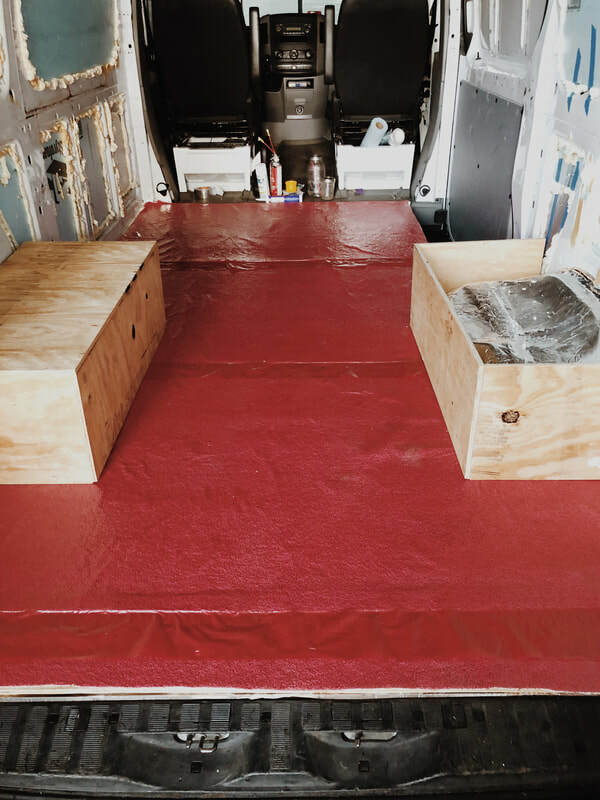 This 3M adhesive spray was used to glue down the underlayment and it worked like a dream. Just be careful because it can get a little bit messy. I used the TrafficMASTER Silver finish for my staircase edging and cut it with a dremel. 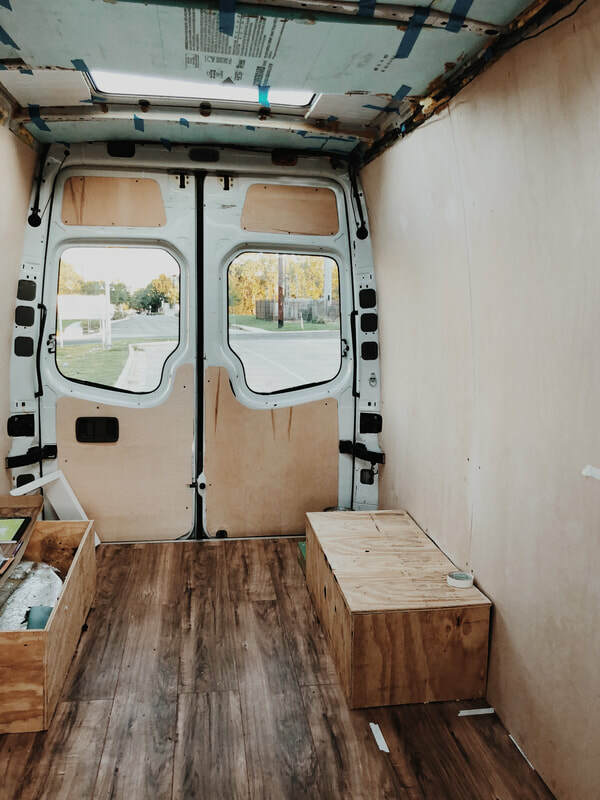 This ended up giving the flooring that real modern finish and covered all of the edges that could be seen when you enter the van. It came with a few nails that ended up being perfect to screw into the floor after pre-drilling holes. Flooring really only took about a day or so. 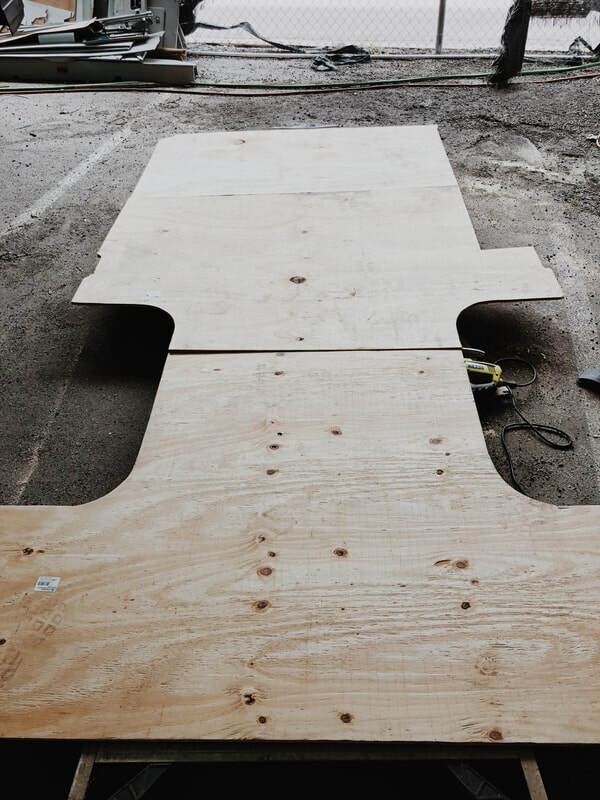 It was a lot of layers and a lot of cutting, but once I got into the groove, I ended up flying through this project. The flooring really made this entire space shine once I finished, which I was beyond proud of. Just a heads up, some of the links above are affiliate links, which means that at no cost to you, I will earn a commission if you click through and purchase. 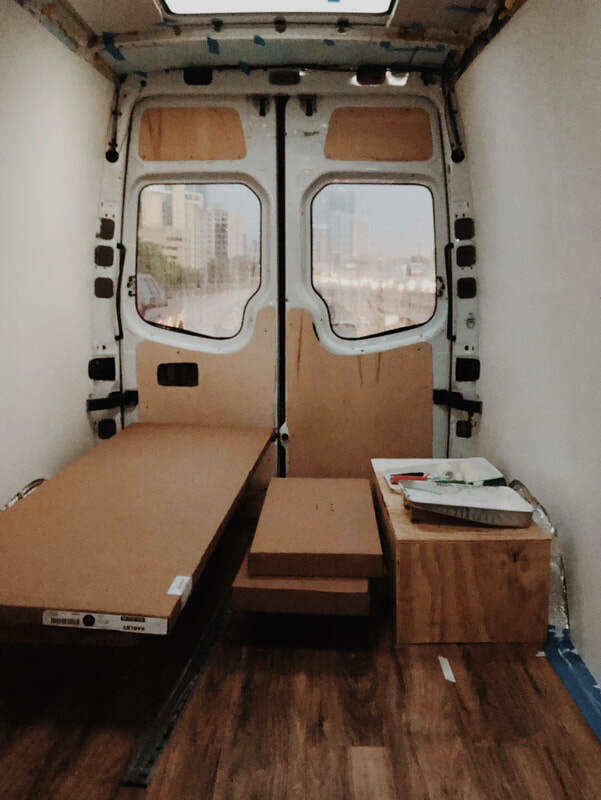 But just know that I am not getting paid to promote these products and I did, in fact, use everything I’ve mentioned within this van conversion.